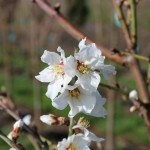 A mid-season large, firm plum. The skin is deep red and the flavor is sweet and intense. It is good for fresh eating or canning. Needs to have Santa Rosa for a pollinizer. Budded on semi-dwarf root stock. 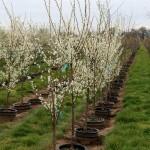 Fruiting plums need a moderately fertile, well-drained soil and full sun.